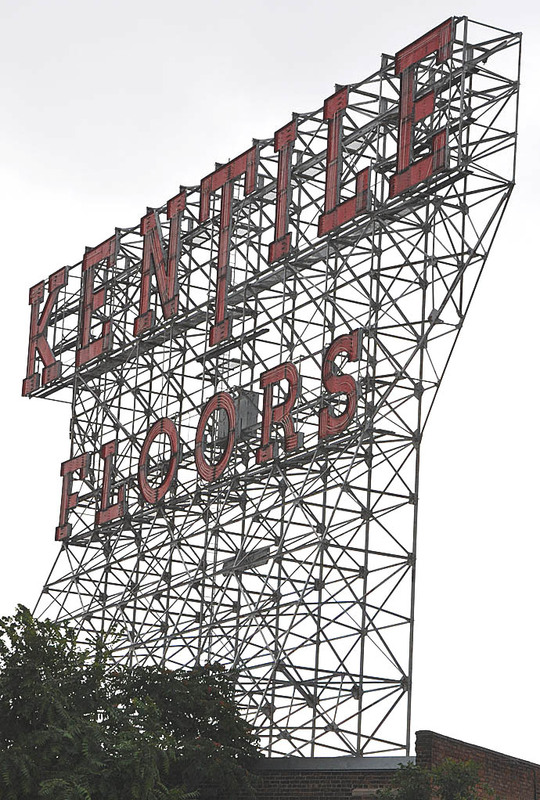 This Kentile Floors sign appeared to be identical to the one in Brooklyn, NY. 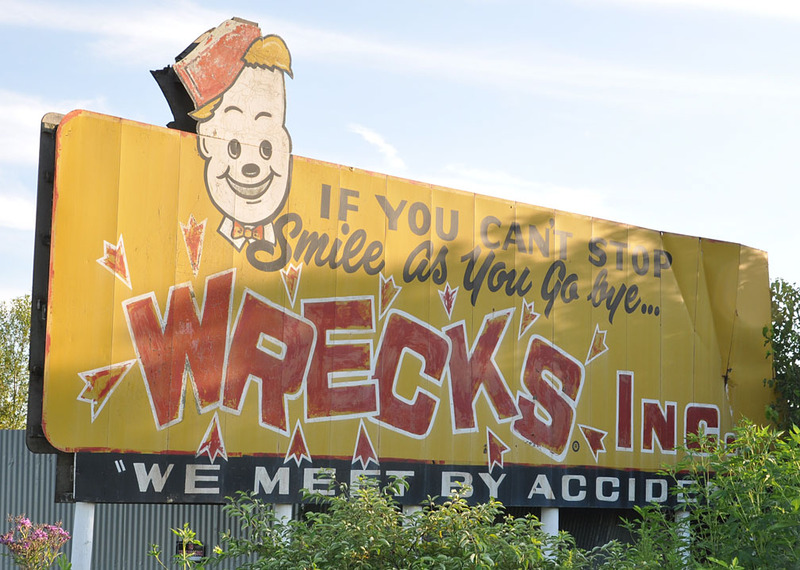 Both signs were built sometime between 1949 and 1954. 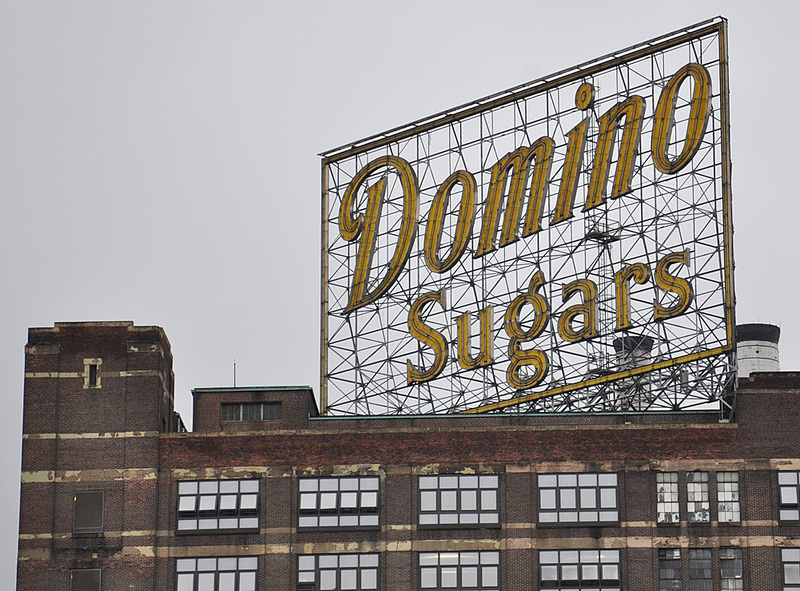 The Brooklyn sign was most likely the first since the company was founded there in 1898. I don't know of any other signs built like these. In 1992, Kentile declared bankruptcy from lawsuits over the asbestos contained in their tiles. Neither sign was operational for many years. 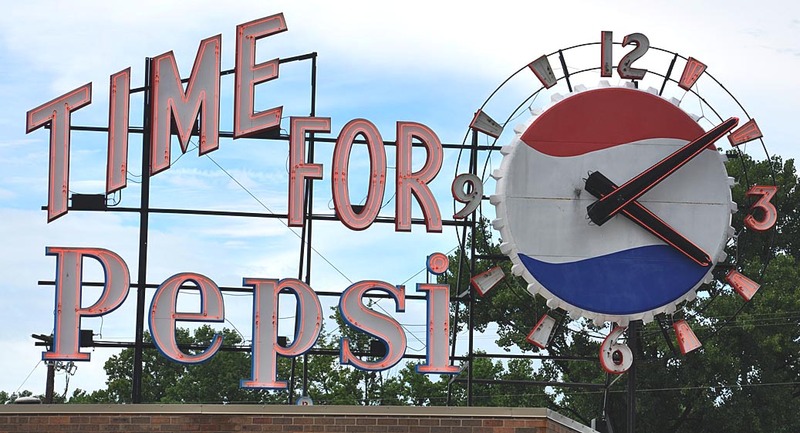 The Chicago sign was removed in 2013. 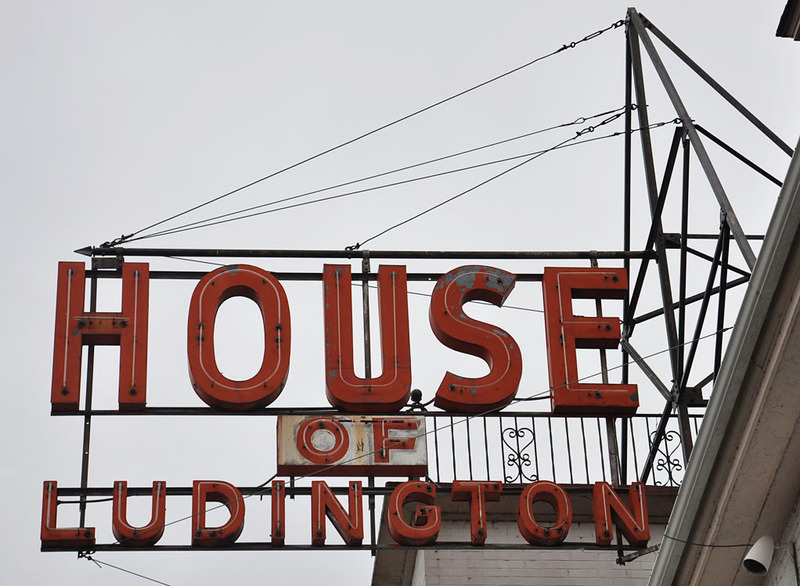 The owner was concerned about the sign falling apart. He kept the letter "K". 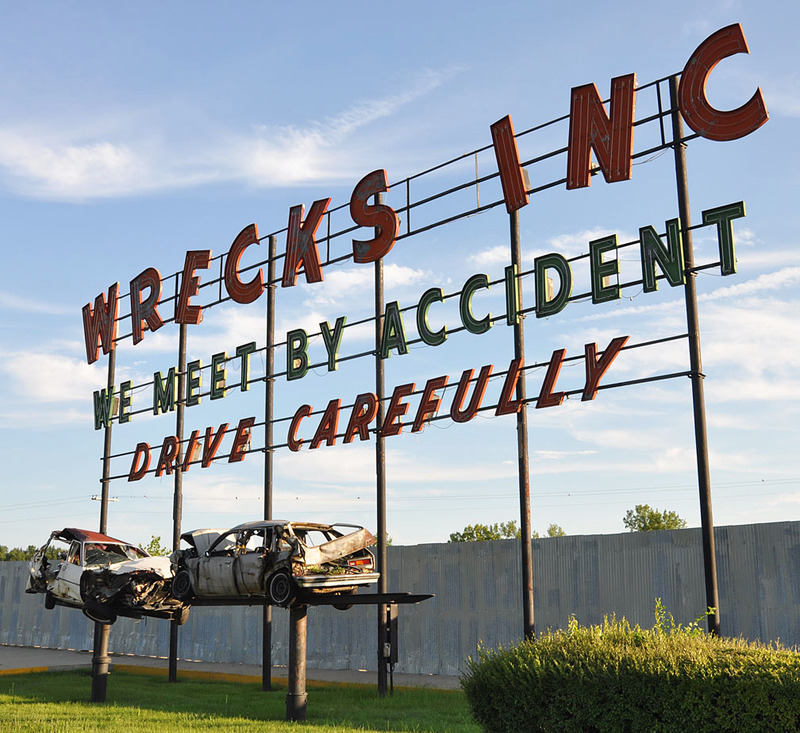 The rest of the sign was scrapped. 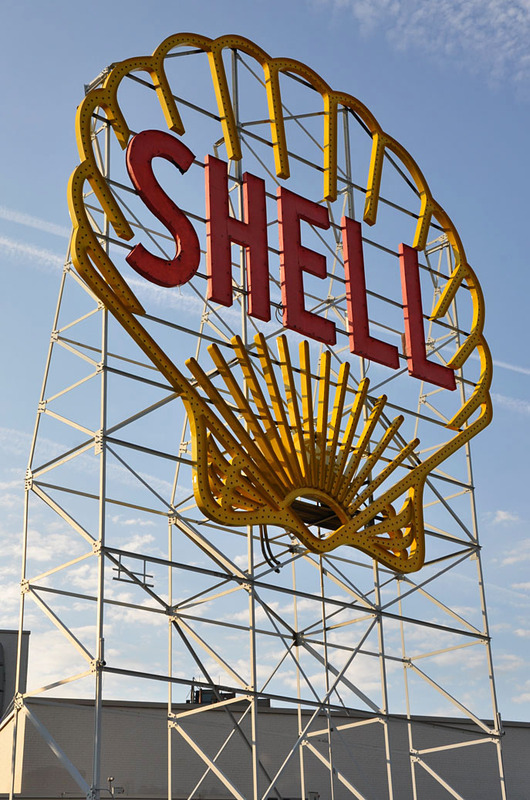 In 2014, the Brooklyn sign was also removed. The Timmerman's Supper Club & Motor Inn were going by two different names in 2010 when this photo was taken: the Timmerman's Hotel & Resort and the Timmerman's Supper Club. 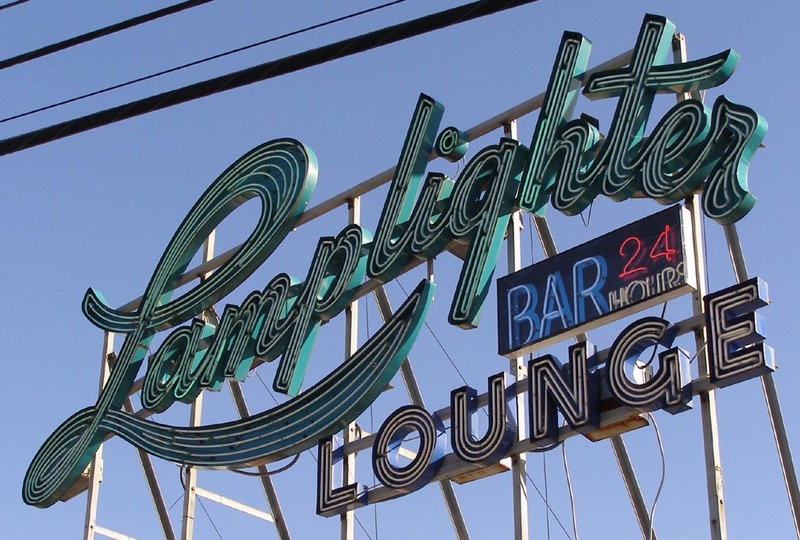 The Supper Club was built in 1961 and the Motor Inn in 1974. There were two of these signs, facing different directions. 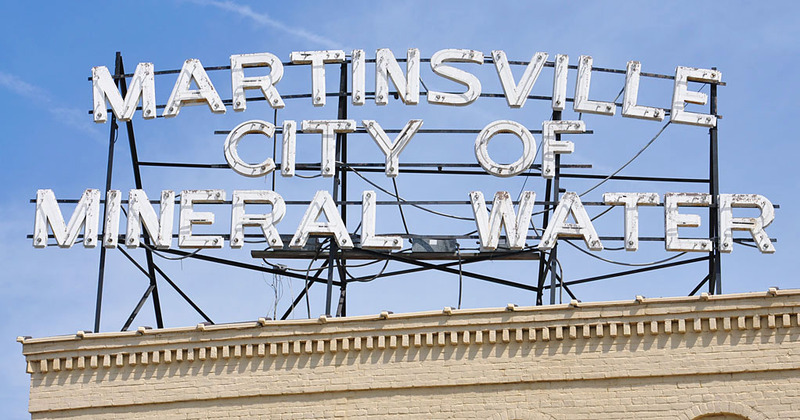 By 2015, both signs had been modernized with backlit plastic letters. 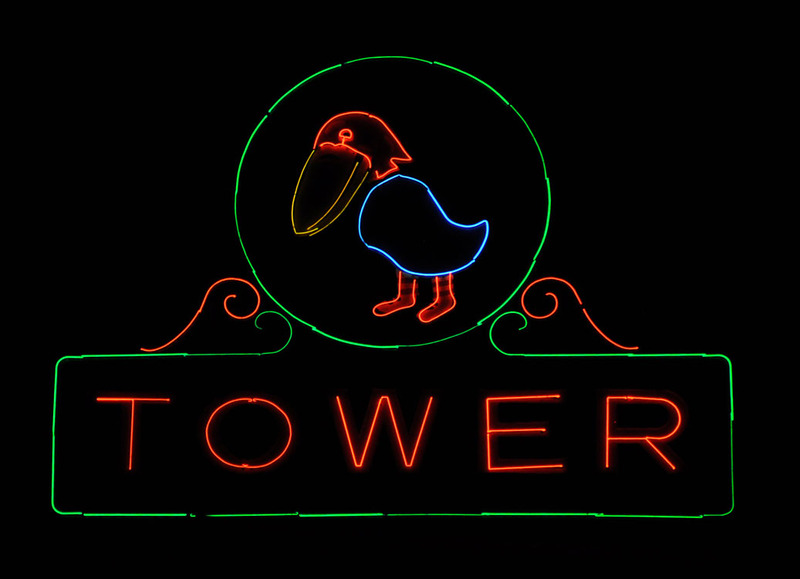 By then, the hotel had closed and the "Motor Inn" letters were removed. For more, see this website. 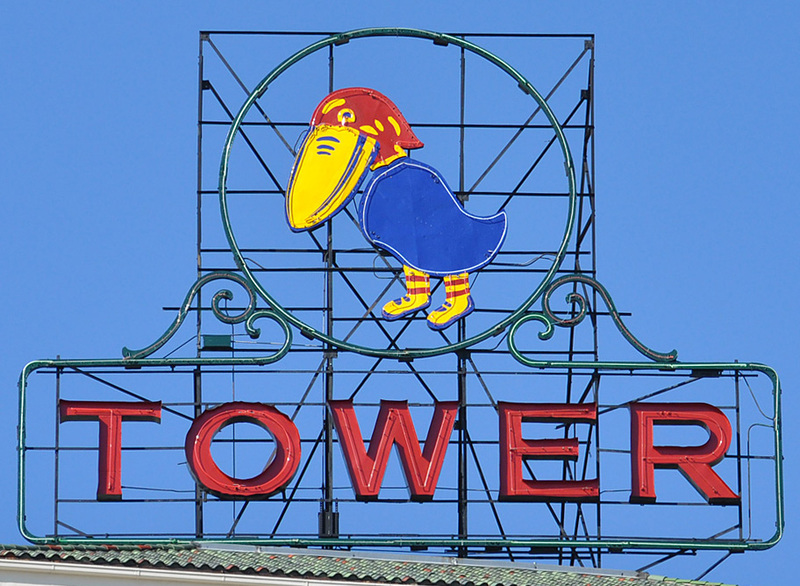 The former Falstaff Brewery features a 185 foot tall sign tower. 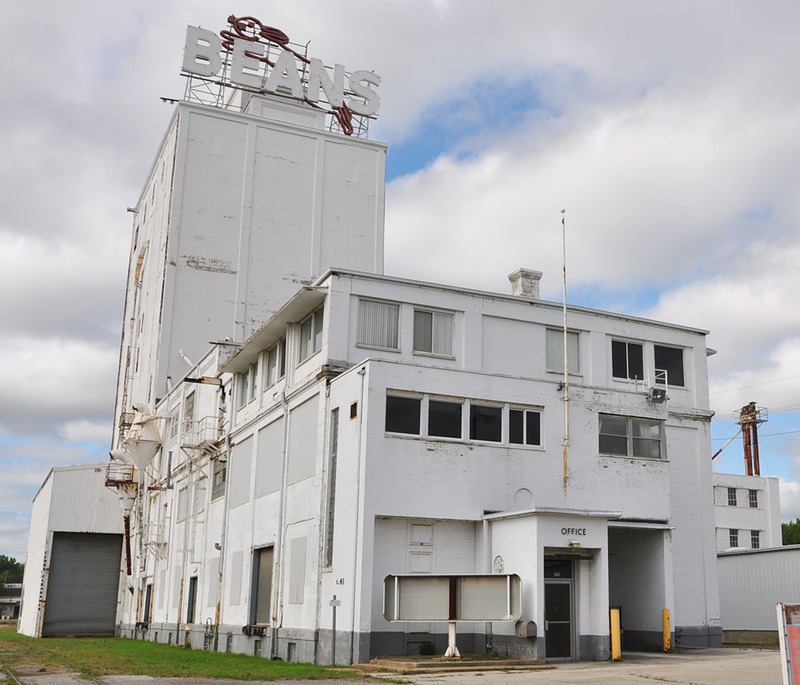 It was built in 1952 and operated as a weather beacon until the brewery closed in the 1970s. 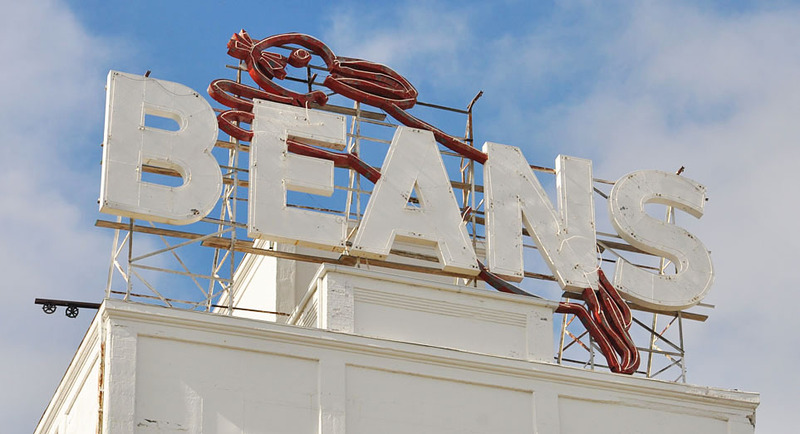 The building remained vacant until 2007 when conversion into apartments began. These photos are from 2010. In 2011, the weather-forecasting sign was restored. 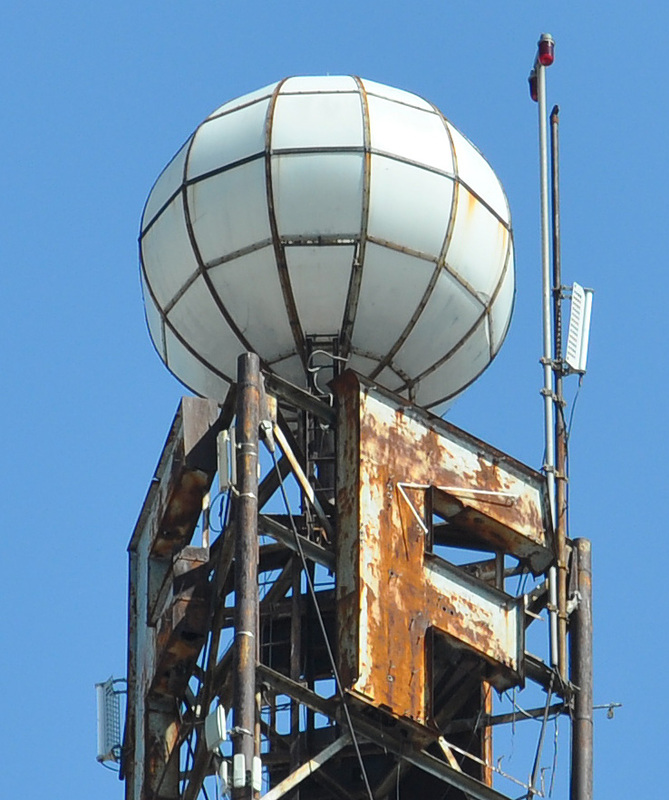 The tower and weather ball are lit in the same weather-predicting color patterns as they were originally. The Falstaff letters indicate changing temperatures. When they are lit from bottom to top, it means temperatures are rising. When lit from top to bottom, it indicates temperatures are falling. When the letters flash, there is no change expected. 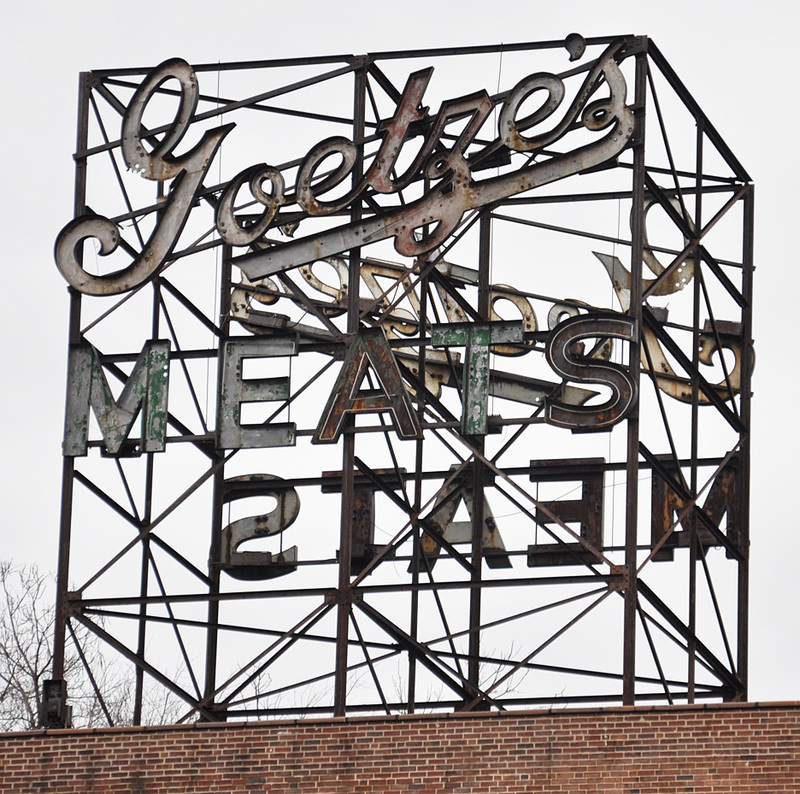 The 11 foot tall steel letters were replicated to conform with local regulations. 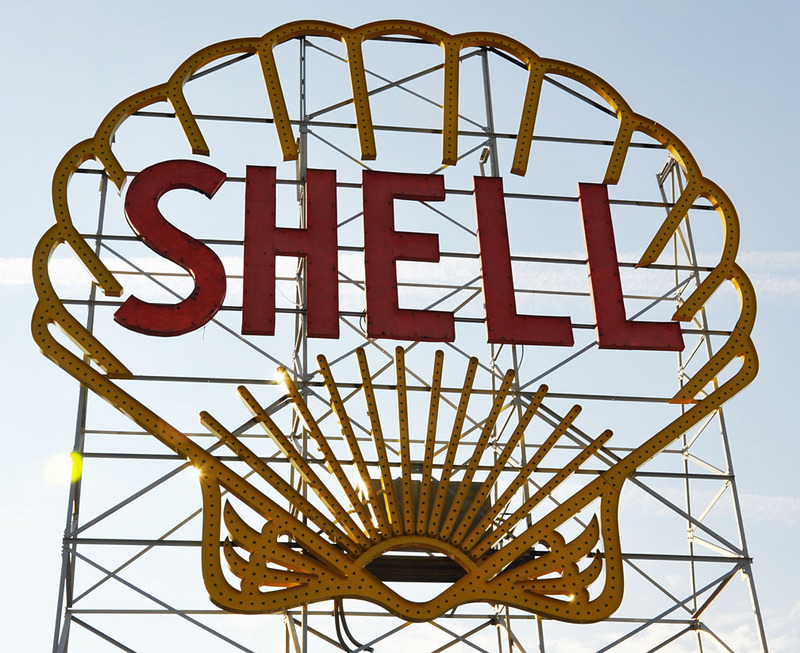 The requirements included that the sign would need to withstand 130 mile per hour winds. 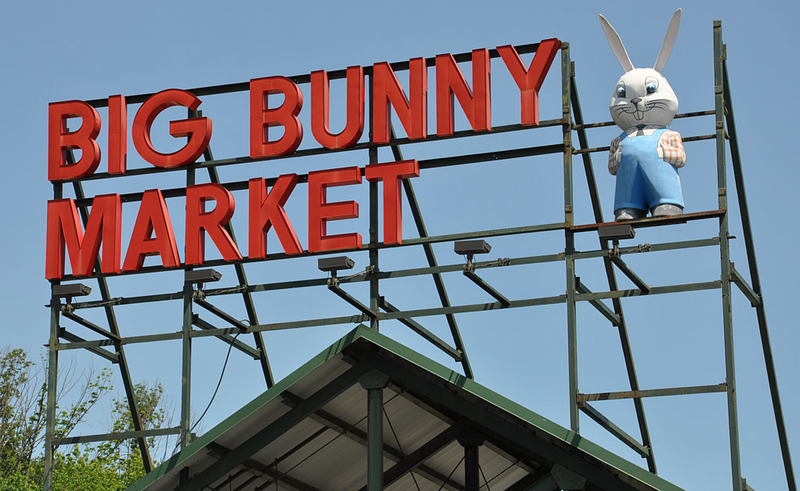 The Big Bunny Market sign is installed on the roof above the store's entrance. According to the store's management, it was built in 1962. 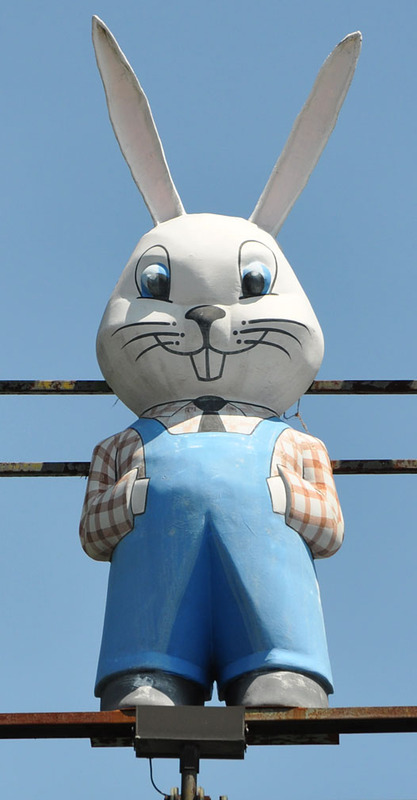 The eight foot tall bunny statue was added soon after that. There were two of them at this store and another at the Stafford Springs store. The Stafford Springs bunny was stolen. The second one at Southbridge was removed for repairs and never went back up. It was loaned to a salesman who changed the statue into a penguin for a frozen foods promotion. The statue was never returned as promised. The bunny that remains was stolen by a fraternity around 1997. It was located and retrieved.